With the rapid advancement in hearing technology, it can be a bit tricky to keep up and understand what features are important to your hearing aid purchase. 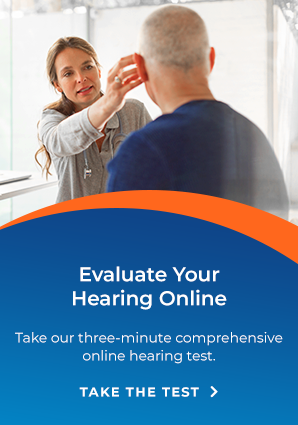 At Arnold Hearing Centres we want to help those conducting research on available hearing aid options and review various features. To do so, the following sections contain explanations for all of the feature categories that may be important for getting the optimal hearing aid that meets your hearing loss and lifestyle needs. Bands and Channels - These features refer to the ability to adjust hearing aid settings to best fit individual hearing loss needs. The more bands and channels a hearing aid has, the better it can be programmed to perform for the wearer. Feedback Cancellation - Recent innovations in hearing aids over the last few years have aimed to eliminate some of the issues that make wearers unhappy with their hearing aids. One of the biggest of these problems has been annoying whistling called feedback, which can be caused by a number of things, such as hugging a loved one, having the hearing aid brushed by hair or simply being outside on a windy day. However, new technology has virtually eliminated the buzzing and whistling caused by feedback in hearing aids without compromising performance. Multi-Memory Settings - While a traditional hearing aid simply amplified all sounds, technology has adapted greatly to how the hearing aid should perform in many different environments. For instance, certain hearing aid settings may perform more appropriately in social settings as opposed to in the car or outside in the wind. By having multiple memories, hearing aids can switch into different programming settings for optimal performance. Directional Microphone - The microphone component of a hearing aid amplifies incoming sounds for greater audibility. In recent years, advancements have been made with the microphone to help it focus on targeted sounds, such as conversations, and reduce background noises. This directional functionality has proved beneficial for helping ease the struggle of hearing speech in noisy environments. Telephone Coil/Compatibility - Many hearing aids today have advanced telephone compatibility. With Automatic Telephone Solutions, these hearing aids virtually eliminate feedback while automatically adjusting for optimal communication on the telephone. Wireless Technology - Allows the user to connect directly – and wirelessly – to most media devices. TV, radio, and computer can be heard in stereo-quality sound directly through the hearing aid. If you would like to discuss hearing aid options, please contact us to book a complimentary hearing assessment and a no-obligation consultation. We are here to provide you with expert advice and recommendation. Arnold Hearing Centres has locations in Kitchener, Guelph, Simcoe, and Mount Forest.